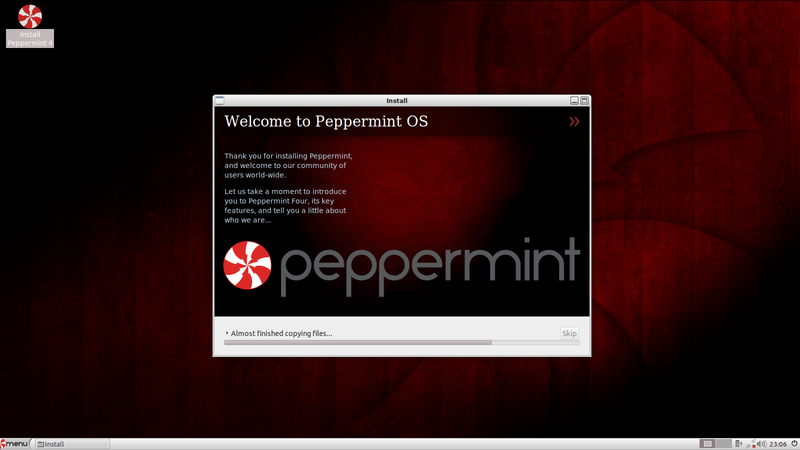 This article shows you how to install Peppermint Linux. 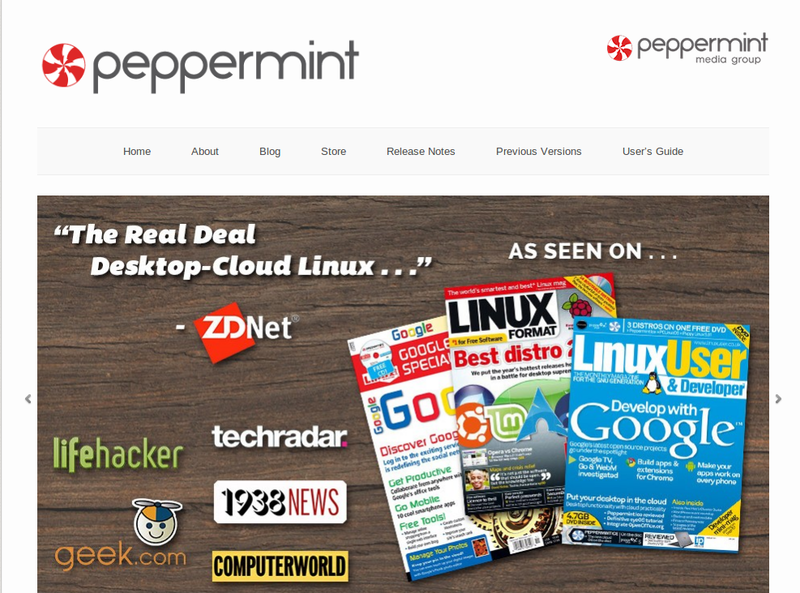 To get Peppermint Linux visit the peppermintos.com homepage. Halfway down the page there are links to download the 32-bit and 64-bit versions. You can also purchase a CD or USB drive. You can create your own DVD by downloading the relevant version (32 or 64 bit) and burning it to a DVD using your favourite disc burning tool. 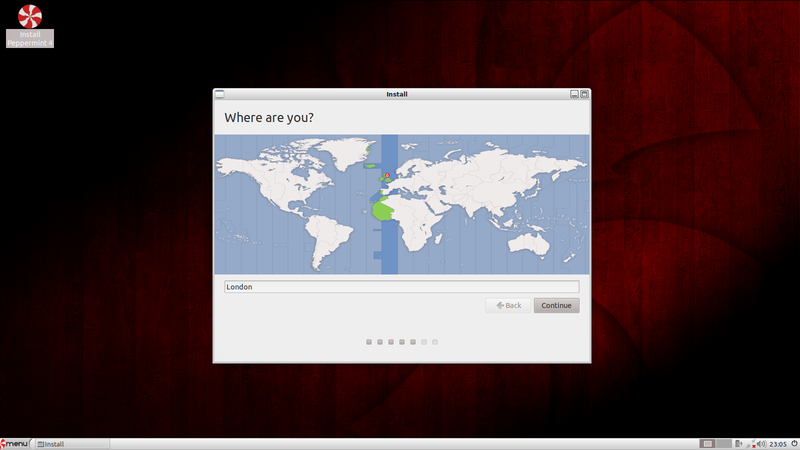 You can also create a bootable Linux USB drive using UNetbootin. 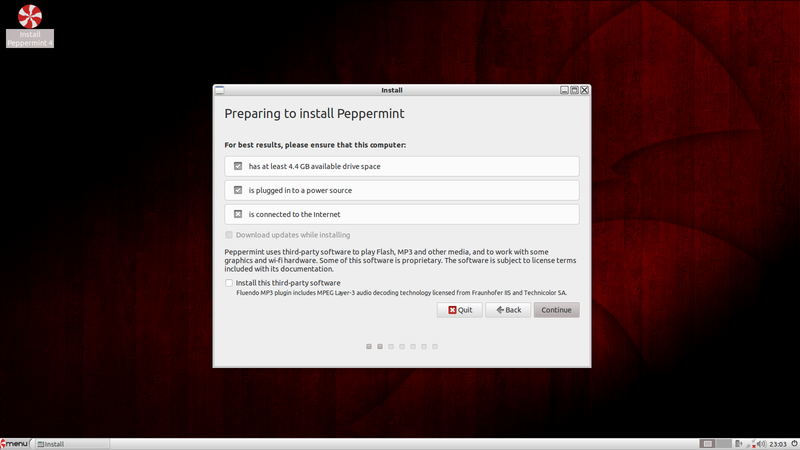 Installing Peppermint Linux is an easy process. Boot from your chosen media (either a DVD or USB drive). If whilst booting your computer boots into your original operating system without giving you an option to boot to Peppermint OS restart your computer and enter your computer’s bios settings (whilst booting a message will appear showing which function key to press to get into the bios). From within the bios settings look at the boot order of devices and make sure the device you are booting from appears before the hard drive. If you are booting from a USB drive created using UNetbootin select the default option. Your computer should boot into a Peppermint 4 live session. 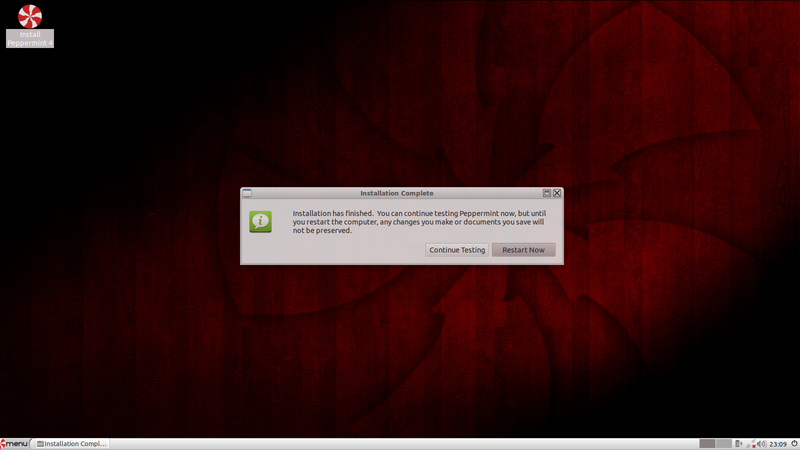 To install Peppermint Linux click on the “Install Peppermint” icon in the top left corner. The first question you will be asked is which language to use for the installer. Click your language of choice and press continue. 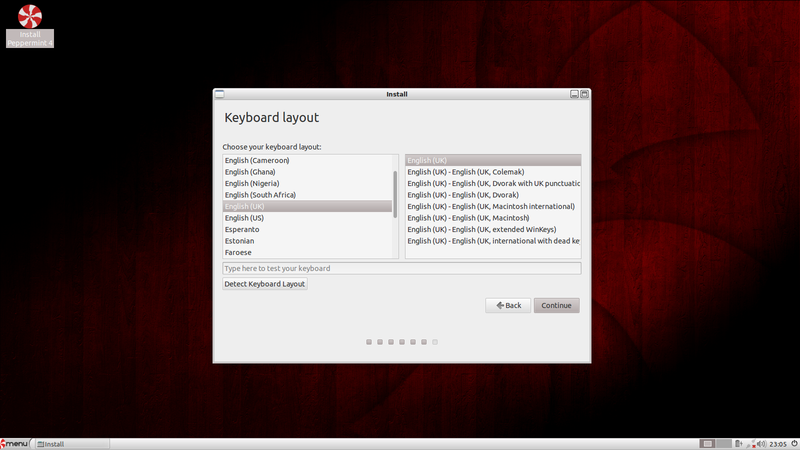 After choosing your language you are provided with a checklist to make sure your computer is ready to have Peppermint installed. Basically your computer needs 4.4 gigabytes of disk space and needs to be connected to a power source. Whether you are connected to the internet is purely optional. I prefer not to be connected and to perform all the required updates after the installation has completed. Note that there is an option to install 3rd party software. I generally leave this box unchecked and install anything I need after the install has completed. Peppermint seems to run things like Flash and play MP3s etc regardless as to whether this box is checked. Click “Continue” to move on. The next screen asks you to connect to the internet. As mentioned previously this is optional and you can get away with not connecting and performing updates yourself after the install has completed. The installation type screen varies depending on what is already installed on the computer. If you have Windows or another version of Linux installed you will be asked whether you want to install alongside those operating systems (dual boot) , whether you want to replace everything with Peppermint or something else. If you wish to dual boot then choose the first option. 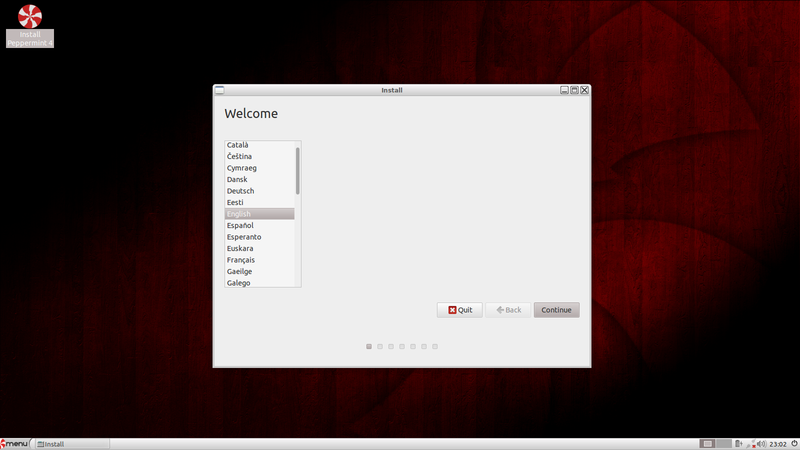 The something else option takes you into a version of GParted whereby you can manually adjust your partition layout. I only recommend doing this if you know what you are doing. Choose the appropriate option for your needs and click “Continue”. The next screen requires you to choose where you are. Click on the map to select your location. You will now be required to choose your keyboard layout. Click “Continue” after you have chosen the relevant keyboard layout. The next step is to create a primary user. Enter your name and a name for the computer. Then pick a username and a password. Peppermint will now start copying the relevant files to your hard drive and when this is completed your new Linux operating system will be installed. You are now given the option to continue trying out the live version of Peppermint or to reboot and start using it properly. I have separated this installation part of Peppermint Linux from the review as some people might read the review and decide not to continue or some people will already know how to install Peppermint. I hope that you found this guide useful. If you did then please consider hitting that +1 or Tweet button below so that other people can hear about this guide as well.